Which celebrity owned car would you do terrible things to own, oppo? 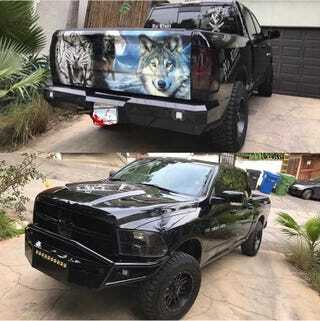 Maybe being a MOPAR owner has gotten to me, but Jason Ellis’s Ram, nicknamed the TigerWolf RamJam5000. Yeah it’s a total brodozer, but it’s done in such an over the top way that I can’t be mad, also Ellis is an off road racer, so it actually sees dirt and hauls. What celebrity owned ride do YOU want?